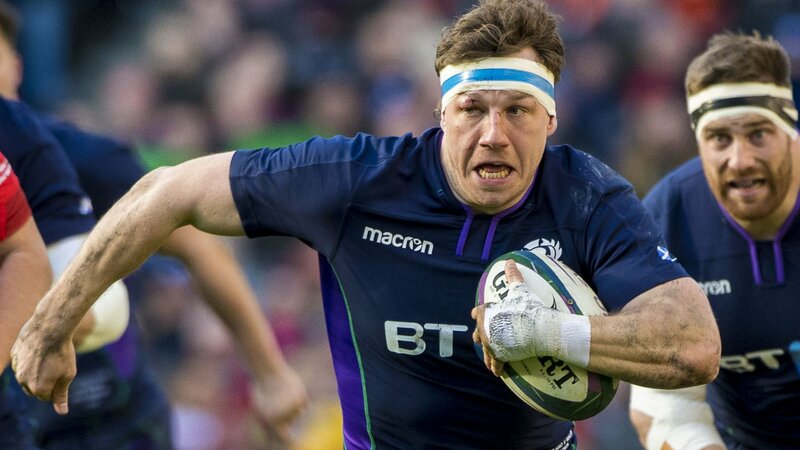 Flanker Hamish Watson returns to the Scotland XV in one of six changes for their final Six Nations game of the campaign against England. Watson, who impressed off the bench in the defeat by Wales, replaces the injured Jamie Ritchie, with Sam Skinner also introduced to the back row. Lock Ben Toolis is in for Jonny Gray. Sean Maitland and Byron McGuigan replace injured duo Blair Kinghorn and Tommy Seymour in the back three, and Sam Johnston is included at centre with Pete Horne dropping out. Scotland, who have lost their last three matches after an opening win over Italy, travel to Twickenham in search of a first victory over England there since 1983. “We’re delighted to bring back Hamish into the starting line-up,” said coach Gregor Townsend. “He made a real impact on Saturday and we have no doubt that he’s ready to take the game to the opposition in attack and defence. “We have to build on the positive aspects of our performance against Wales. The players showed in the second-half what the team is capable of against one of the best sides in the world. The next step is making that pressure count on the scoreboard, more regularly. Scotland: Maitland; Graham, Grigg, Johnson, McGuigan; Russell, Price; Dell, McInally (capt), Nel; Toolis, Gilchrist; Skinner, Watson, Bradbury.